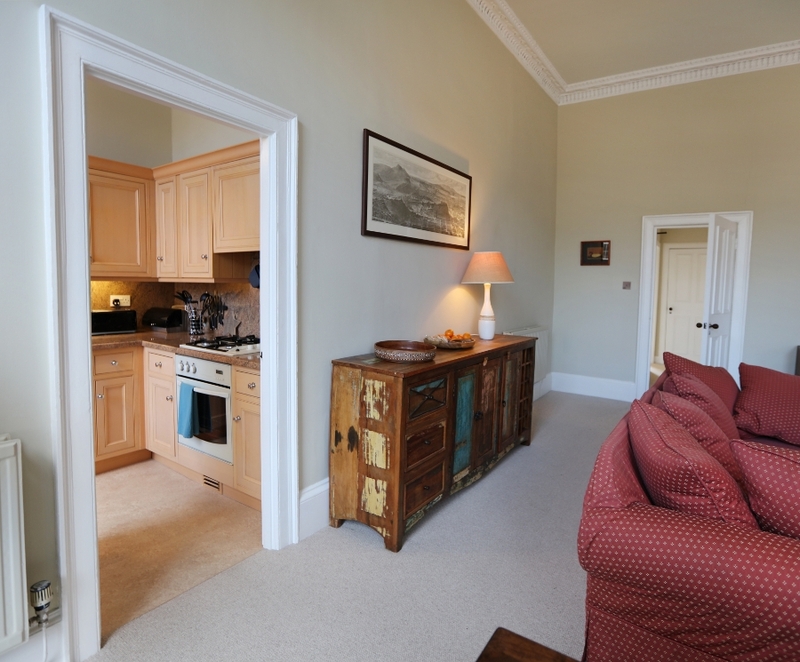 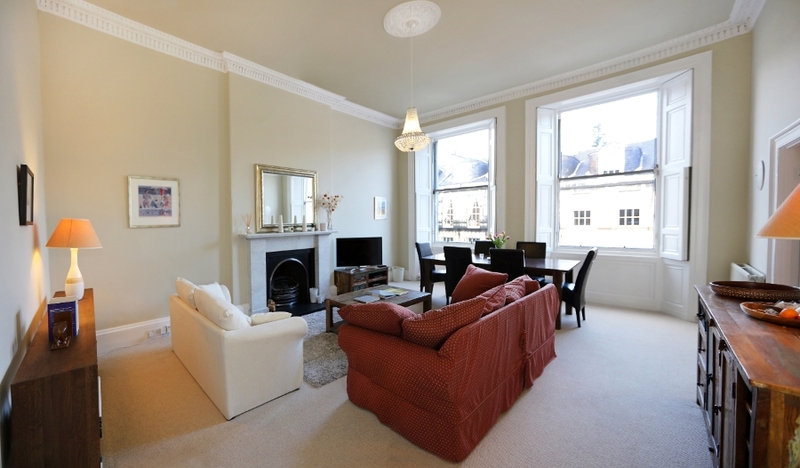 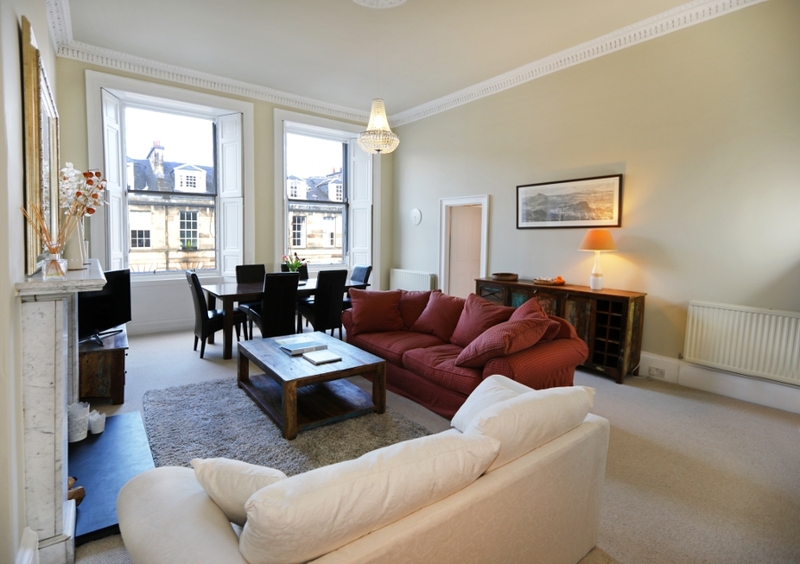 Albany Street is an impeccably-appointed first-floor apartment in Edinburgh’s charming New Town offering guests easy walking access to the finest amenities the capital has to offer. 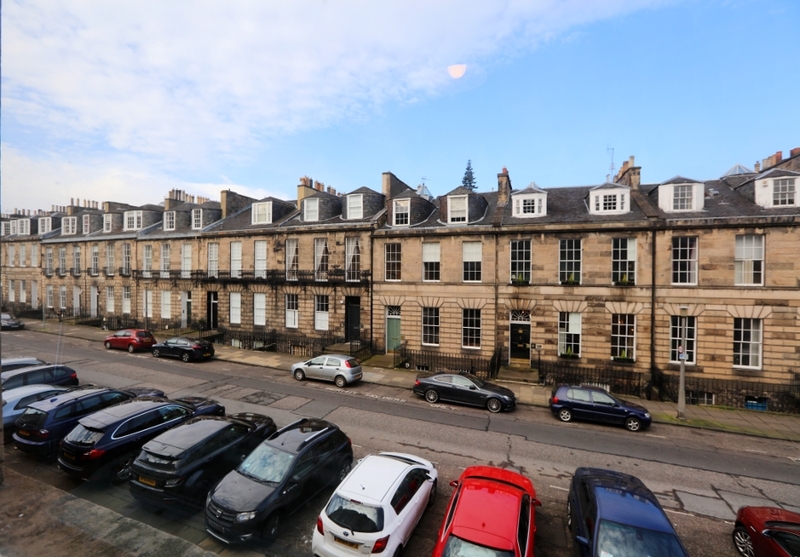 The apartment is three minutes’ walk from the tram line which connects to Edinburgh Airport, a few minutes more to reach Waverley Station and the hustle and bustle of Princes Street, and then on to the Royal Mile and heart of the Old Town. 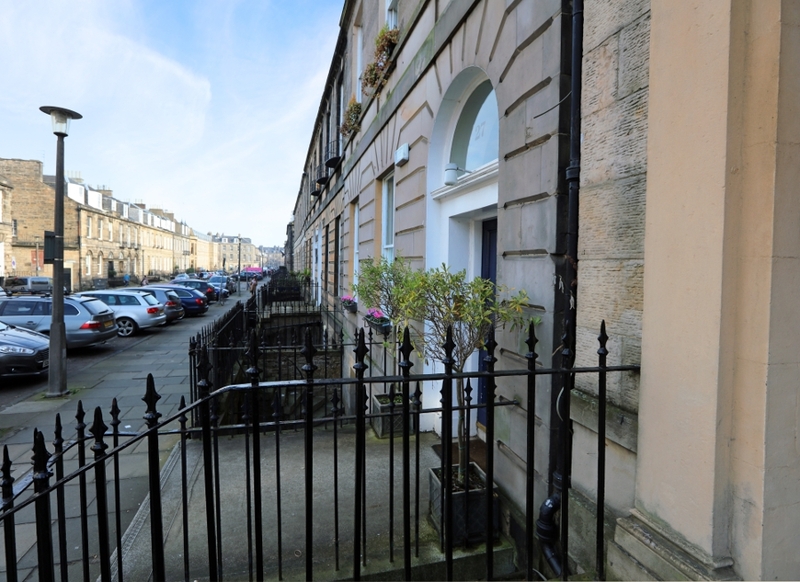 Broughton Street, just a street away, hosts many wonderful independent restaurants, bars and shops and The Edinburgh Playhouse theatre and Omni Centre with cinema are just around the corner at the top of Leith Walk. 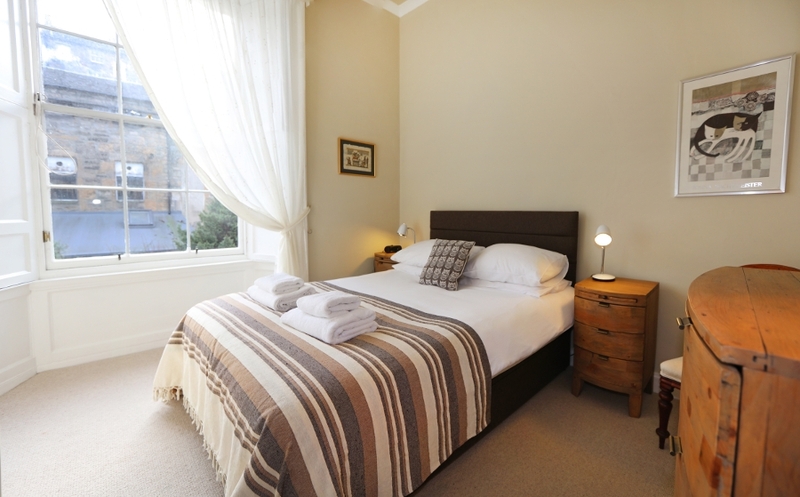 The accommodation comprises two bedrooms at the rear, each with a kingsize bed and closet wardrobe. 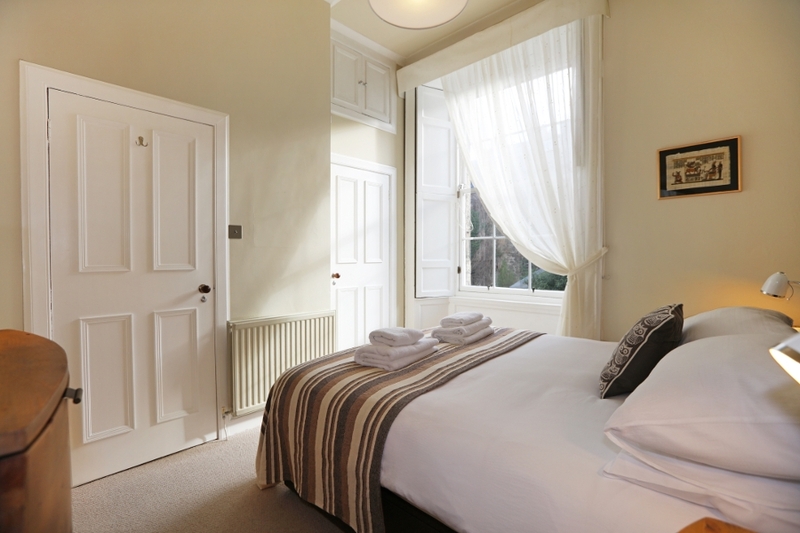 The master bedroom has additional storage in a bow-fronted wooden chest of drawers and matching bedside units. 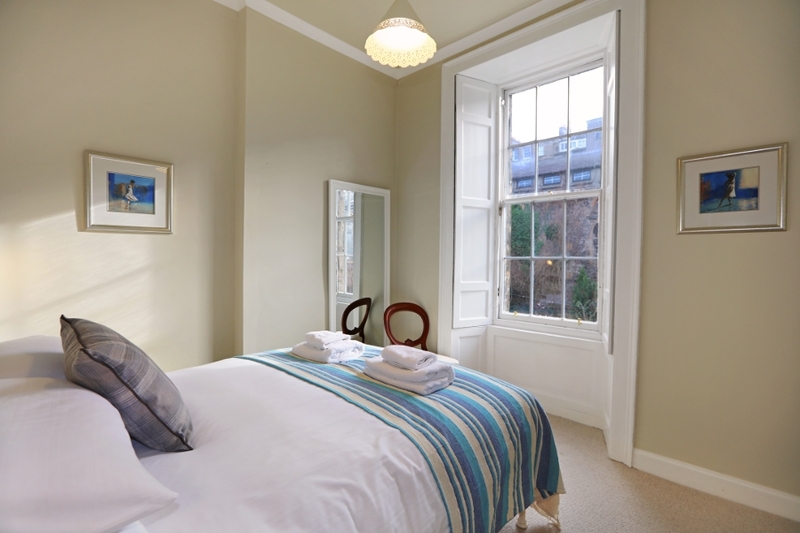 The large south-facing windows have original working shutters and views over the neighbouring private gardens. 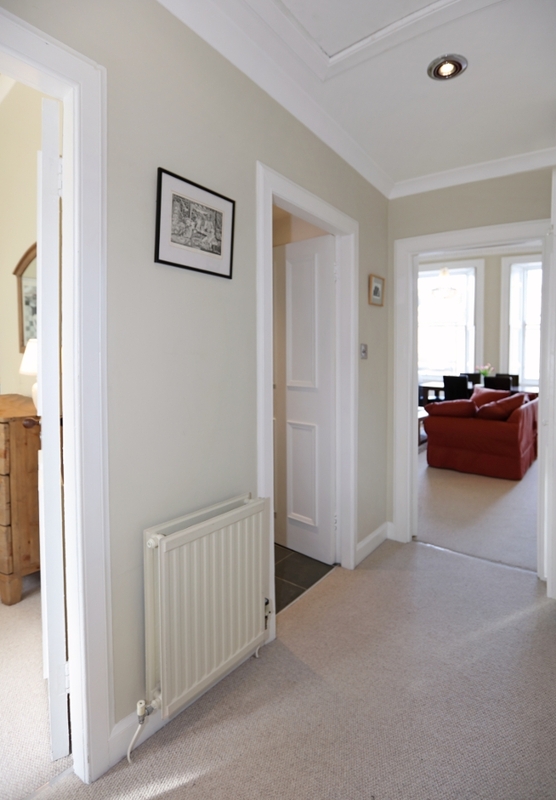 The modern bathroom, accessed from the hallway, has an over-bath shower with adjustable handheld and fixed rain-shower heads, stylish above-counter basin and heated towel rail. 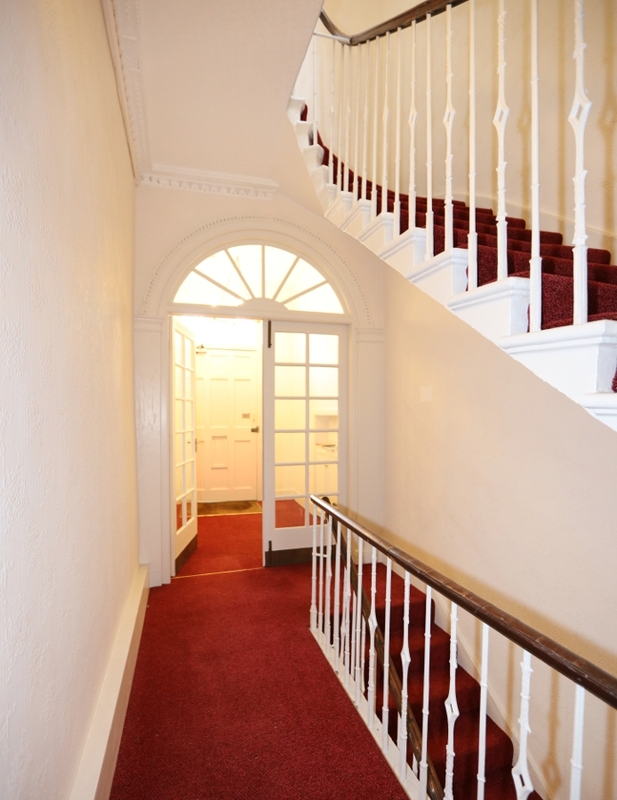 There is a large utility cupboard off the hall containing an iron, ironing board and clothes horse. 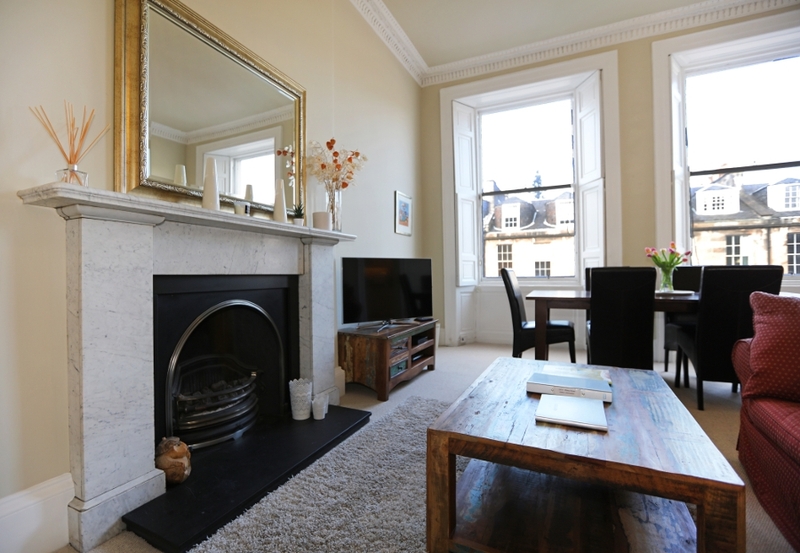 The beautiful bright living room at the front of the apartment is the property’s highlight, with its high ceiling, ornate cornicing and traditional fireplace typical of the New Town. 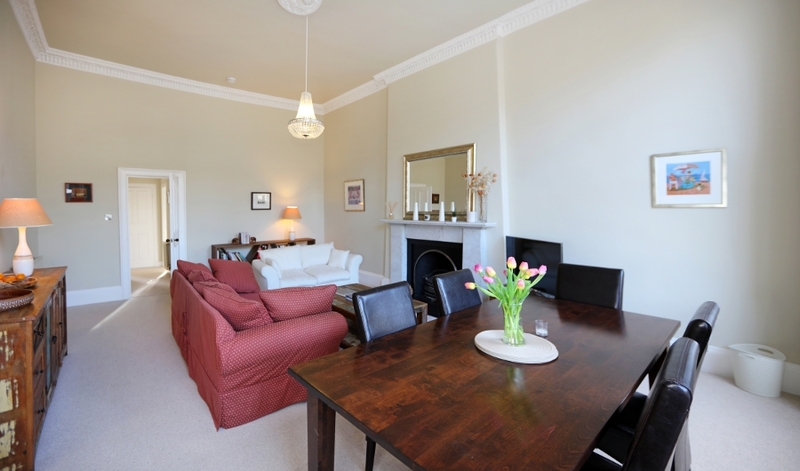 A solid wood dining table for six sits in front of two large windows overlooking the pleasant Georgian street below. 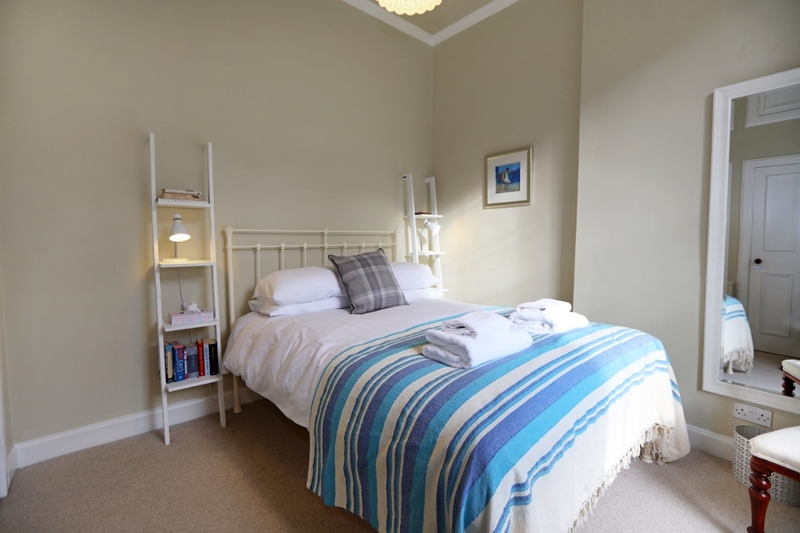 There are two comfortable sofas (one a sofa-bed) and a well stocked bookshelf including Scottish titles of local interest, as well as an HD Smart TV and WiFi. 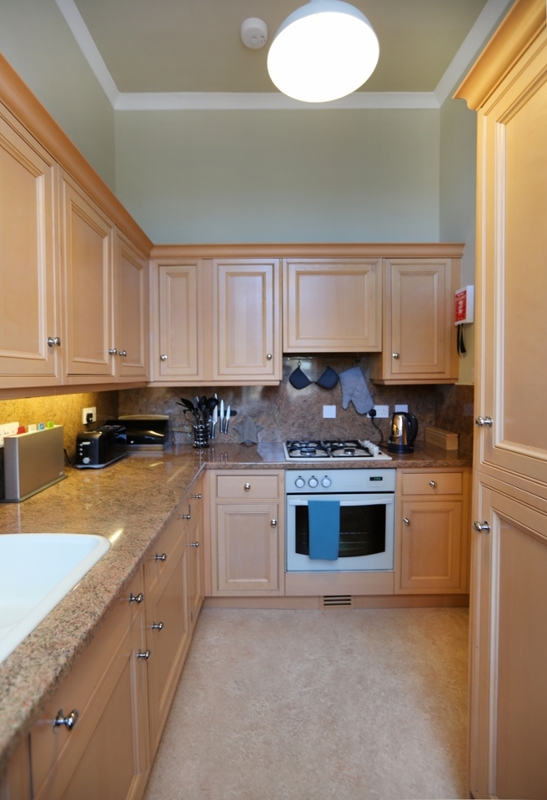 Adjoining the living room is a compact modern kitchen fully equipped with microwave, fridge-freezer, washing machine and dishwasher.